“Enhanced auto-schedule” will be delivered for free via WiFi to all Nest thermostats in the seven countries where they’re sold. Nest has been updating the algorithm steadily over the past few years, but the company says this is the first major re-design based on customer feedback and data from tests in the U.S., Canada and the U.K.
“This makes the device faster in learning at the outset, and more adaptive later,” she said of the update. The company wouldn’t quantify exactly how much more quickly the thermostat will learn, but it’s based more on the number of adjustments the customer makes than the length of time over which they’re made, Guenette said. Still, “the better and more accurately we can learn users’ schedules, the greater the energy savings opportunity,” Guenette said. How Nest’s thermostat behaves might also soon depend on how other devices interact with it. The company released an API (application programming interface) a few months ago that will let developers of other products, like fitness trackers and even cars, interact with its smart devices. By connecting to a fitness tracker, for instance, the thermostat might know it should start warming the house when a person wearing the tracker wakes and starts stirring in bed. Some data sharing between Nest and other Google products is in the works too, by letting users control Nest’s devices through Google apps. Nest stresses that developers will be able to access only the data they need to make the integrations work. 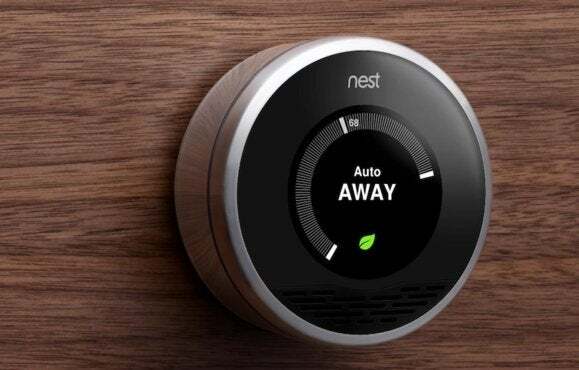 The software changes are only for Nest’s thermostat, not its Protect smoke and carbon monoxide alarm.